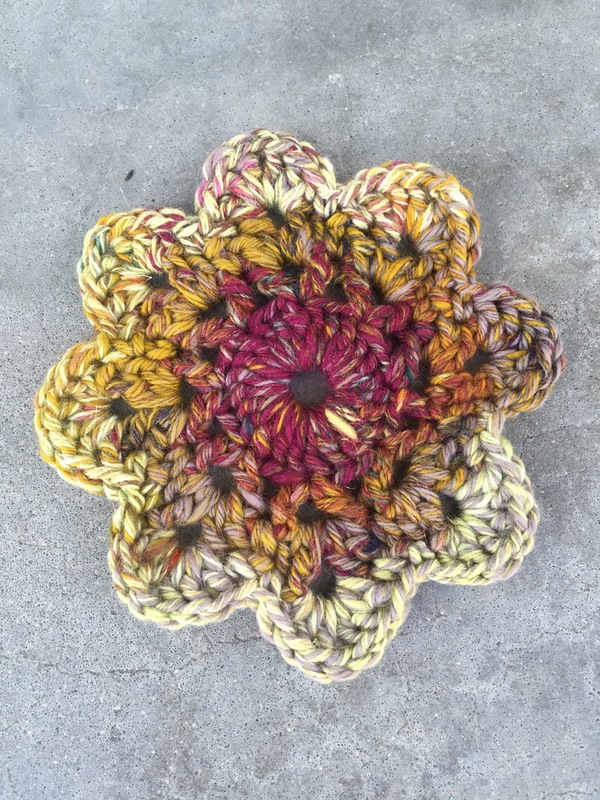 I saw some cute, easy, crocheted flowers used as coasters on Instagram recently. When I got to thinking about them, I thought it might be a way to use up some of my all time favorite handspun, seeing as I couldn’t figure out any other project for it. 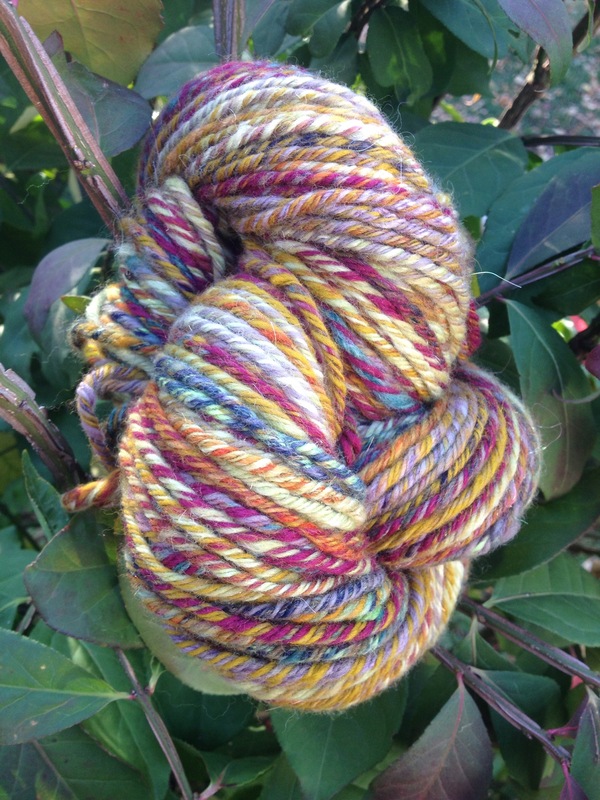 The yarn was from a chain ply 6 ply. Meaning, I held two strands of singles together while chain plying them. It was ridiculously fun, and it was a great way to blend a large variety of colors. 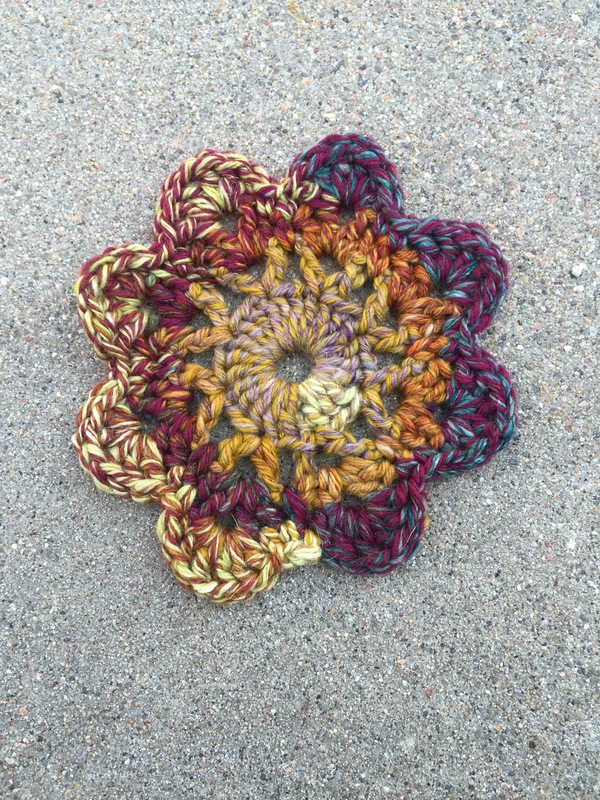 In this case, it was colors from 4 different sets of rolags, all with different colors. And I liked it so well I had to make another immediately. And then, the yarn was gone and I was a little sad. But I do like my coasters!